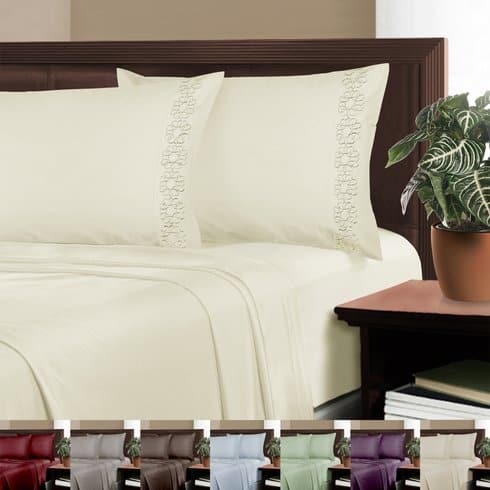 Save 81% on the Dream Home Double-Brushed Microfiber 6pc Sheet Set plus Free Shipping! The Dream Home Double-Brushed Microfiber 6pc Sheet Set is on sale for $19.49 at Tanga.com right now. That's 81% off the retail price of $99.95! Shop the Tanga's Daily Deals, Top Sellers section, and Last Chance section for more great deals. Remember, the quantities on Tanga.com are limited, so if you see something you like at a price that works for you, you may want to buy it before it sells out.